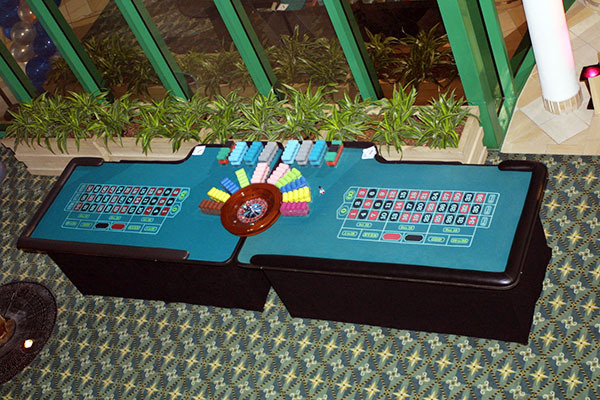 Whether you're putting together a fundraiser, a corporate event, or even a wedding, casino gaming is always a winner! Always a favorite with new gamers! Roulette is easy for the novice, and the variety of betting options will be explained by our friendly and helpful dealers. Place your bets and spin the wheel! Start your party with our two most popular games! At the start of the party, your guests can gather around a table for a quick lesson by our knowledgeable dealers. Want to know when to double down? 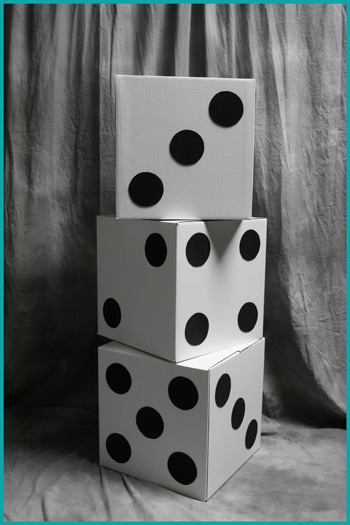 What's a safe bet at craps? Our dealers will advise your guests throughout the party. 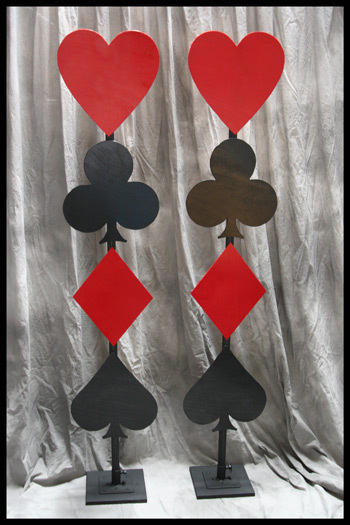 This one is always a crowd pleaser, and gives your guests a great place to practice their "poker face." 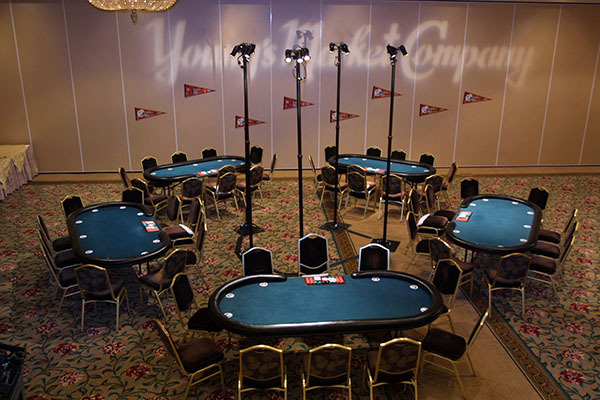 Texas hold'em tournaments are also an extremely effective way to make money for your fundraiser. We can help you with all of the planning, just give us a call! Want to mix it up? 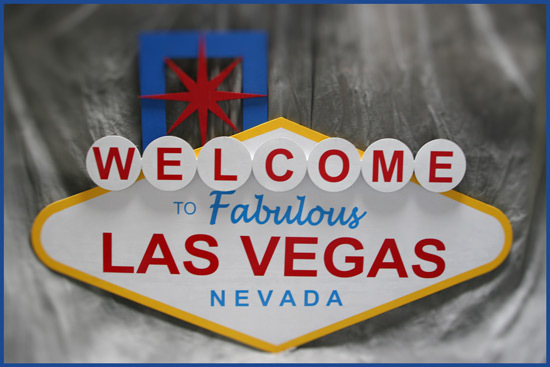 Add pai gow, baccarat, three-card poker, let it ride, caribbean stud, and even wheel of fortune! We can also provide lighting, props, photo booths, DJ/master of ceremonies, and A/V equipment. Having an auction? 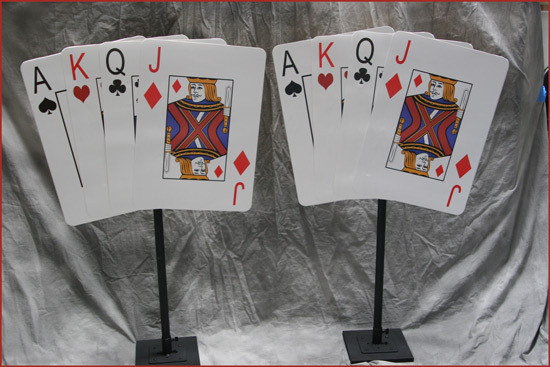 Our experienced auctioneer will work the crowd to generate the maximum $$$ possible. 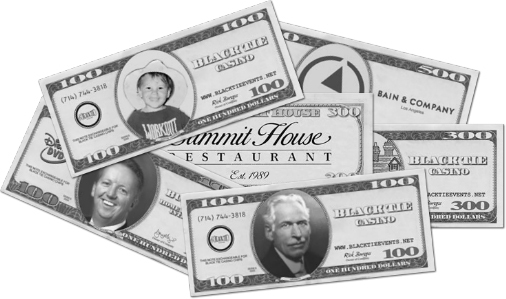 Whether it's a corporate event or a private party, hand out customized cash for your guests to trade in for chips at the tables. We can place a company logo or photograph in the center of the bill and modify the text to further represent your unique event. (Small charge for personalized money). 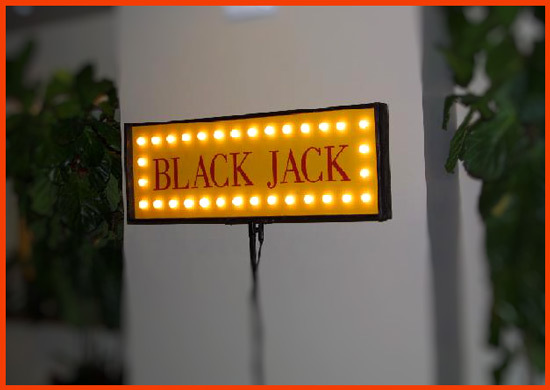 Illuminated casino signs both compliment your tables and add to the atmosphere by bringing the "glow" of Las Vegas to your party.